Length 32" +$29.58 30" +$28.02 28" +$22.95 26" +$20.62 24" +$14.13 22" +$10.32 20" +$9.73 18" +$9.10 16" +$8.58 14" +$8.58 12" +$8.58 10"
Blum full extension runners offer total shelf access with 1 1/4" overtravel. Because the side clearance is the same as the Blum 3/4 extension they can be swapped with no change in box size. Features captive right hand profiles with 1/2" side clearance. Smooth running synthetic rollers on tempered steel axles provide quiet, smooth rolling action. 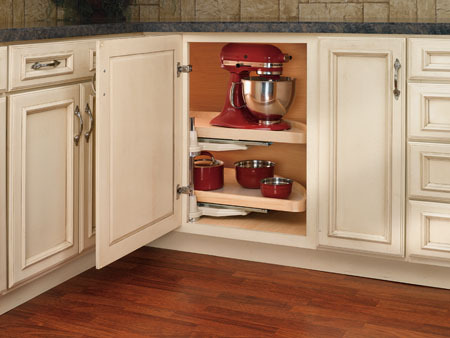 Intermediate drawer profiles lock out for easy drawer installation. 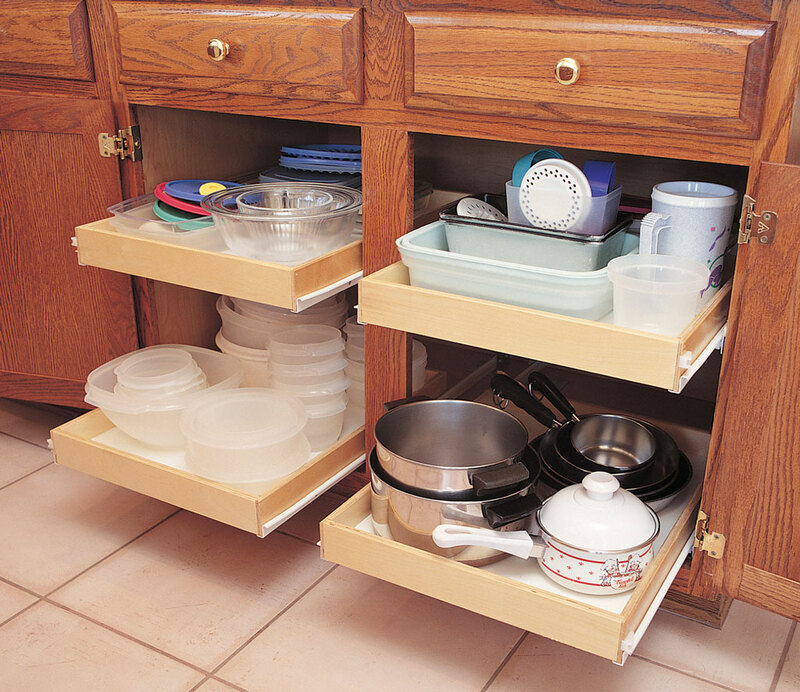 Detents in the drawer and intermediate profiles hold the drawer closed. Steel construction with epoxy coating. Sold as a set with two each, drawer, intermediate and cabinet members. All the parts necessary for one pull out shelf or drawer. Can not be used with rear mount sockets. 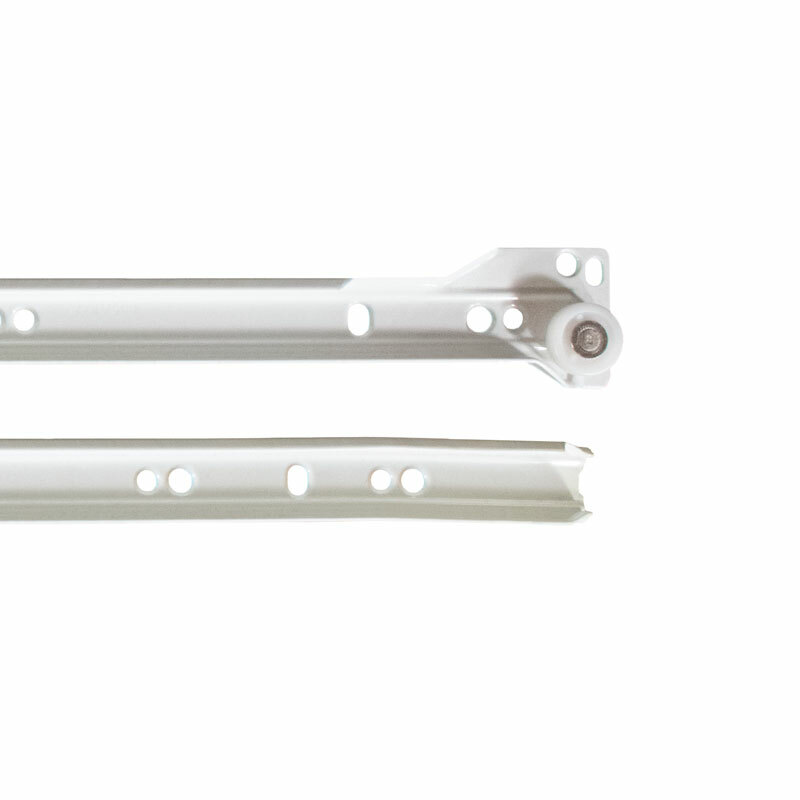 Will work with full shelf L brackets which are not included but are available separately. Available from 10" to 22" depths. Actual depth is 1/4" less than listed size.